The EASE Autumn Schools aim to provide valuable opportunities for sharing research experience and developing future research collaborations among Ph.D. candidates from EASE constituent regions. The coming EASE Autumn School 2019 will be held at Shizuoka University on September 16th -22th, 2019. During the 7-days, senior professors will share with students on their experience and works in science education. Students from different regions will form 5 or 6 groups and each group of students will be supported by a scholar when they discuss their dissertations and develop cross-region collaborative research proposals. As the last sessions, all candidates have opportunities to share and have a presentation at the Society of Japan Science Teaching National Conference. Shizuoka University will provide shuttle bus from Mt. Fuji Shizuoka Airport or Shizuoka station (September 16, 2019), the accommodation (September 16-22, 2019), breakfast, lunch and dinner (starting the breakfast in September 17, 2019), SJST conference fee and shuttle bus to Mt. Fuji Shizuoka Airport or Shizuoka station (September 23, 2019). The group of students is accompanied by one senior professor and one young coach from the regions. The participants, professors, and coaches should be responsible for their own travelling and other expenses needed. The documents (a) and (b) will be submitted to regional coordinator and after the acceptance announcement please submit the (c) document to the secretary, Nurul F. Sulaeman(nurulsulaeman@yahoo.com) by June 18th, 2019. Lectures: There will be six lectures in the autumn school. Six professors will give talks and will serve as committee supervisors. Group discussion: There will be five or six working groups, and each consists of six students from six different member regions. Group discussion is operated under the guidance of coaches and senior professors. Two types of group discussion will be held at the autumn school. Dissertation (six sessions): During these sessions, students are expected to present and discuss their studies in small, supportive groups consisted of peers from all over the East-Asian countries. Furthermore, students are expected to take an active part in the analysis and discussion of other students’ studies or ongoing researches. Each session (90 minutes) focuses on only one student’s dissertation study. Here is an example schedule of a session. Coaches may adapt these timings and activities to suit their group. A student presents his/her dissertation study to the group (30 minutes). Generate and clarification questions individually (5 minutes). In pairs, students discuss their reactions to the presentation and prepare at least one question/comment/suggestion per student to share with the whole group later. The presenter now breaks, and chats with the coach or the group members (15 minutes). The whole group reviews for the question & answer discussions supervised by the coach. All students are expected to take a full part in these discussions (35 minutes). Concluding comments by the coach (5 minutes). Collaborative proposal (three sessions): The purpose of the sessions is to enable students to discuss and develop a cross-region collaborative research proposal under the multicultural background among East-Asia. 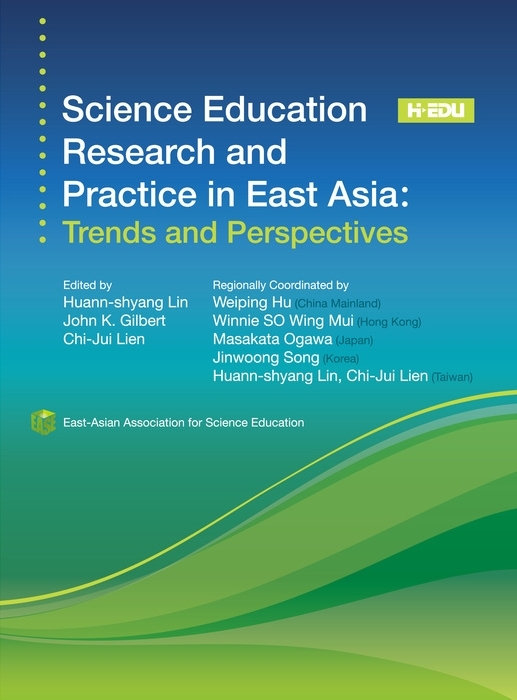 The scope of the proposal has to cover common science education issues in Asia and involve efforts and specialty from each student. Each working group has to clarify the issue, outline questions, review literatures, and design the research method and schedule. The proposal should be showed with a PowerPoint file and presented in the proposal sessions. Proposal presentation: There will be two sessions. During these sessions, each working group presents its proposal in the front of the senior professors. One or two best proposals will be selected by the end of the summer school. Museums Visit and Conference: On the morning of September 21th, every student and mentors will visit of Miho-no-Matsubara, Toro Arkeological Museum, and Museum of Natural and Environmental History, Shizuoka. On the middle afternoon of September 21st, social culture activities arranged by students. On September 22nd, participants will have English presentation at Society of Japan Science Teaching (SJST) National Conference at Shizuoka University. Each student needs a registration through EASE website at Autumn School at Shizuoka University and should prepare an extended abstract of just one page in the SJST format (Notice at EASE Website). Registration will be paid by the EASE Autumn school committee.